In the blink of an eye, I swiftly seemed to have went from summer straight through to winter. With a packed schedule, life’s distractions, and a week in Newfoundland, I missed out on a lot of my autumn traditions this year. No pumpkin carving, no roasting seeds, no visit to the farm and pogo eating, no Halloween costume, no handing out candy, no raking leaves, no demolition derby… I had a few nice walks and back-country drives to admire the colourful fall foliage, and a pumpkin spice latte. Honestly, that was it. My plan is to make up for my fall failure ten-fold this winter. So far, I’m off to a good start. On Friday, I had my first Starbucks holiday drink of the season (caramel creme brulee – I didn’t love it, but that’s how it goes when you’ve gone to the dark side and just drink black coffee every day). I put one of my favourite Christmas CDs on repeat in the car, and I watched my first Christmas movie. 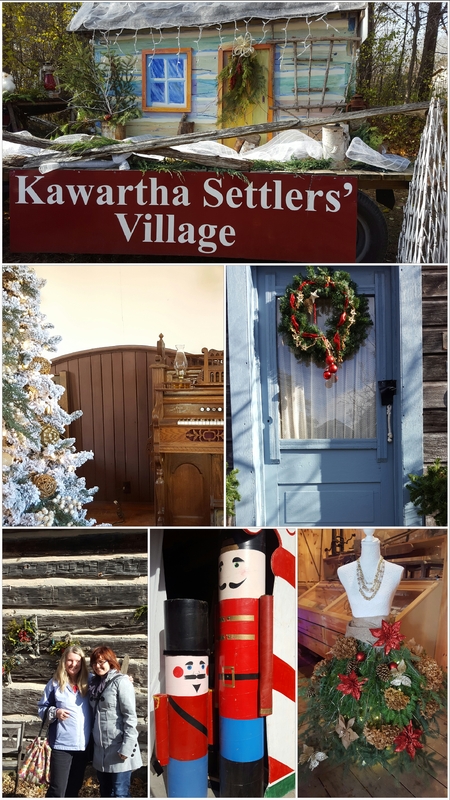 On Saturday, I had a lovely day trip with my mum to Kawartha Settlers’ Village in Bobcaygeon for their annual Festival of Trees event. For the first time in my life, I successfully won a draw and ended up with a fabulous Christmas wreath! Saturday night saw another Christmas movie. I fear that Sunday may have included one, too. I am quickly realizing that I may have to chill out a bit. And here I am: Tuesday night and the Christmas tree and wreath are lit. There is a calming ambiance in my livingroom. Holiday music is playing, and my is heart filled with joy and wonder. Joy for this life that I’m living, and the way it seems to unfold in such curious and beautiful ways. Wonder for what the coming season has in store for me. And peace; so much peace for where I am and who I am in this precise moment in time. If this season is heavy on your heart, I pray that you find moments of peace & joy, friendship & contentment.